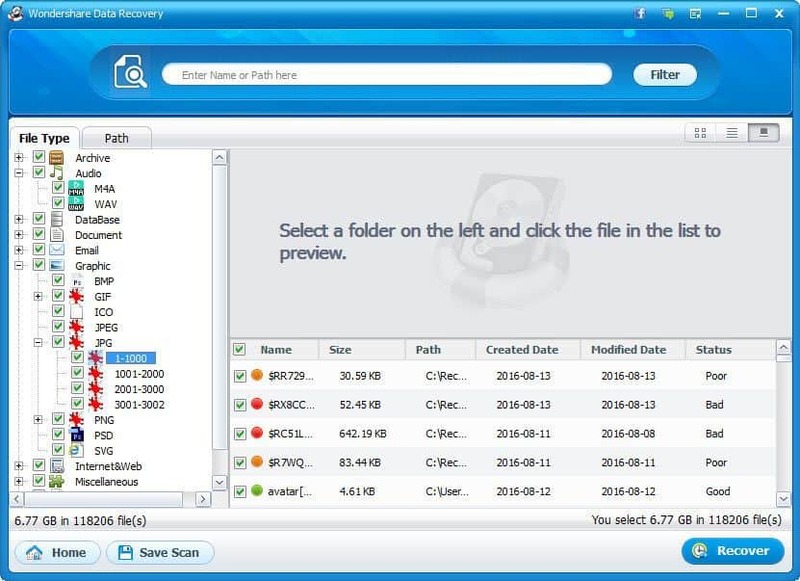 Wondershare Data Recovery Review - Try For Free In Windows & Mac! 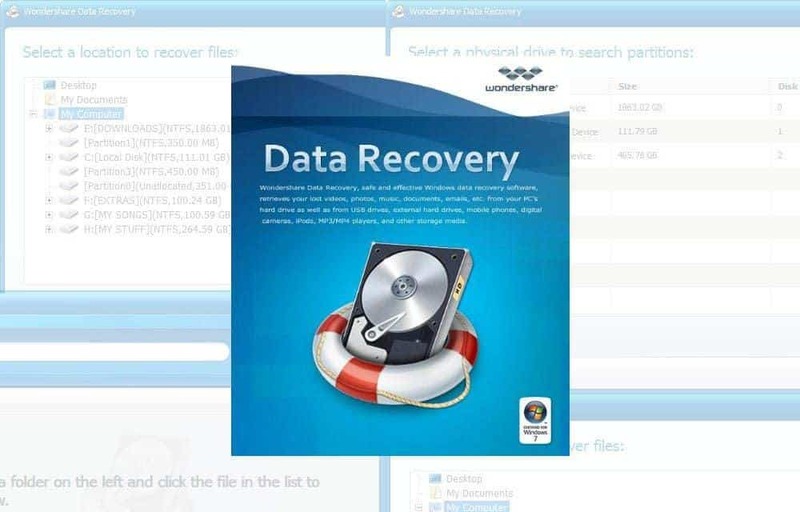 Wondershare Data Recovery Review – Your One Stop Solution for Data Recovery! All of us have been in a tight spot where we have lost some crucial data due to some mishandling and then yearned to bring it back. Well, we have all been there, I can’t count the number of times that I erased a thumb drive and realized that something important was stored in its memory or erased my camera’s SD Card just to realize that I have not exported the photos or videos that I shot. For some it’s worse, whole drives sometimes get corrupted and all the crucial data lost. All them wedding and baby photos that have not been backed up, all the important documents from work, the novel an author typed into his/her computer, the list just goes on, years worth of data just lost. Needless to say, it’s a frustrating experience; we are so dependent on electronic storage for all of our data needs as a race today, and we never think about the possibility of losing data. Just like a physical book that can be soaked or burnt which in turn leads to loss of the data written or printed in it, electronic storage has its fallbacks too. Data loss can take many forms — accidental deletion, hard drive failure, software bugs, data corruption, hacking, even a simple power failure can cause you to lose data. For all of us who have lost data, we have all thought about Data recovery and what it entails. Interestingly, any file that’s deleted stays on your drive until it’s overwritten with another file. This means that if you act fast, you have a pretty good chance of getting the file back.. Similar to deleting a file, formatting a file system destroys information about the previous files and structure of the disk, but the amount of data that’s erased depends on the system format. For example, formatting with FAT results in the destruction of a large amount of data and rewriting that section of the disk with zeroes, significantly reducing the likelihood that you’ll be able to recover your data. Some file systems, like NTFS, will have a higher likelihood of recovery if they’re overwritten with the same file system. Most data recovery software’s use complex algorithms to determine and locate where the lost data was physically stored on the drive and tries to bring it back by piecing together the different fragments of data that scattered throughout the drive. There are some problems here when you try to recover data at a later time than immediately after which the data was lost, there are some ways by which it could have been lost. Even browsing the internet by opening your browser could potentially overwrite the data you are looking for by writing browser cache onto the data you are looking for. So Unless the drive in question is not physically destroyed or beat up, there’s a good chance that files can be recovered from it. There is some consumer grade Data recovery software’s available for us to choose from and we are going to be looking at one such software today – Wondershare Data Recovery. As you have guessed from the name Wonder, Share Data Recovery is a data recovery software and Unlike most Data recovery software’s that are cumbersome to use, Wonder share is simple and user-friendly using a wizard interface that simplifies the overall user experience. Wonder share is a powerful and easy tool that recovers formatted, deleted, inaccessible, and lost data from a myriad of devices. Whether it is a PC, external hard drive, digital camera, mobile phone, USB drive, iPod, or MP3 player; the software recovers any file effectively and safely. Further, it supports diverse file systems such as FAT16, FAT32, NTFS, and exFAT. It can recover most file types including the standard set of photos, videos, emails, documents and also files with unknown extensions. Wondershare helps you recover deleted, formatted or otherwise inaccessible files in your drives. Also, Wonder Share Data recovery doesn’t require you to enable ownership permissions to access drives. It can directly run from a normal drive and has a read-only model that makes it safe. Since its read only it doesn’t overwrite any file or damage the system. Here are some common data loss problems that Wondershare can help you with. Reinstalled Windows system or hard disk crash or virus infected drive. The partition structure on a hard disk was fragmented, or partition table is invalid. 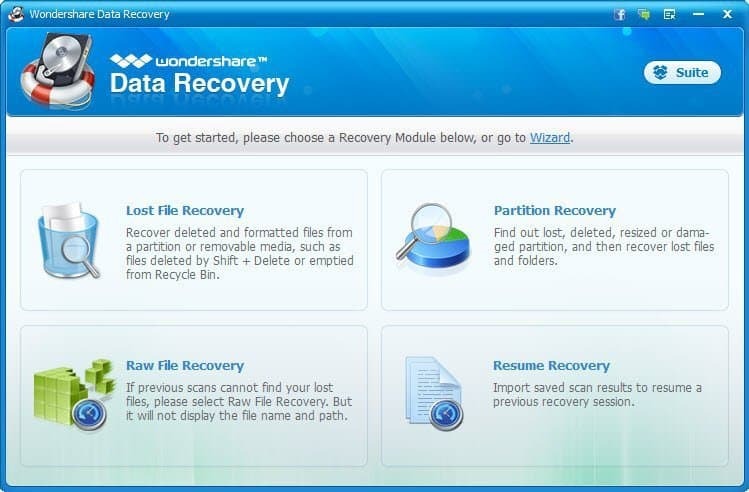 How does Wondershare Data Recovery work? To start things off, when you open the app a wizard opens by default. This wizard is for people who do not know much about data recovery. The wizard asks you two basic questions. The first question being what type of file you want to recover and the second being, whether or not you want to enable deep scan or raw file recovery. This Wizard does the job for most people and for people who are new to file recovery just go with this. So you must be asking what all this means, well in simpler terms, deep scan can bring back files in its original state with most of the data intact say file name and what not with all the metadata included, which means a more intact file that’s easily identifiable, this is useful for documents and emails since you can’t open individual documents and assess what it is about. Raw file recovery, on the other hand, recovers data in bulk and doesn’t give importance to structuring the data. This is more useful for photos since you can browse through the recovered photos quickly and categorize them, their meta doesn’t usually count for much. Lost file recovery – This is to recover deleted files such as files that you deleted from the recycle bin or files from a drive you formatted. 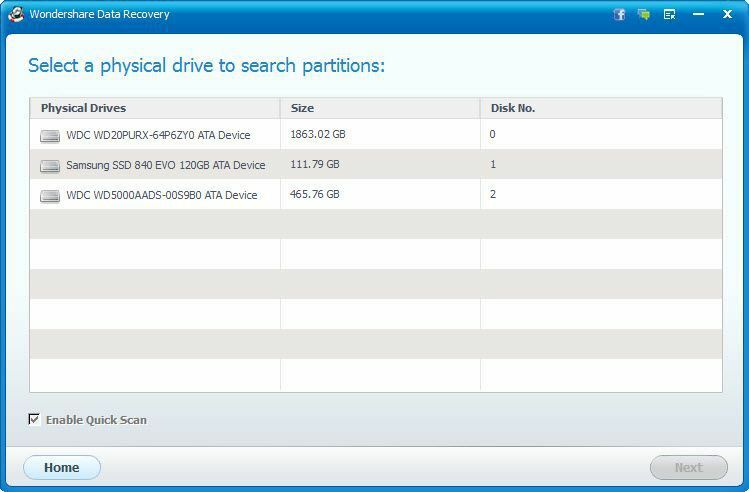 Partition recovery – This is to find data from lost, resized, deleted or damaged partitions. Raw File Recovery – This is for when the top two fail. This has more advanced algorithms but recovers data with no proper structure. 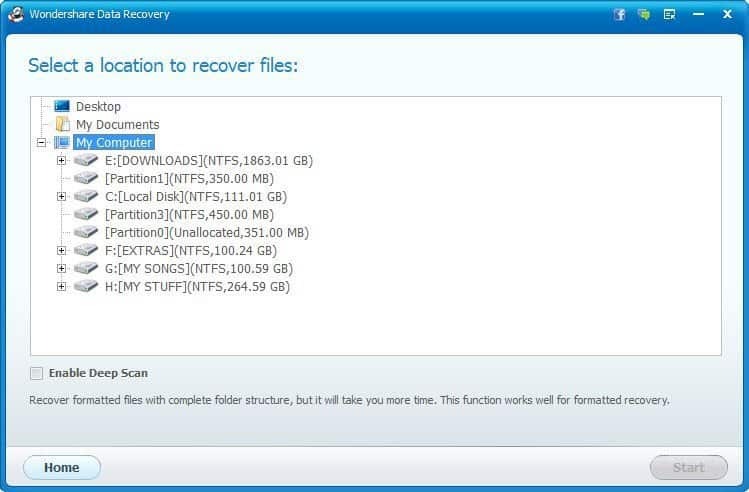 After selecting the one you prefer you can go ahead and start the recovery process by choosing the drive in question and here’s a list of all the most common formats that Wondershare Data Recovery can detect and restore. Photo – JPG, TIFF/TIF, PNG, BMP, GIF, PSD, CRW, CR2, NEF, ORF, RAF, SR2, MRW, DCR, WMF, DNG, ERF, RAW. Documents – DOC/DOCX, XLS/XLSX, PPT/PPTX, PDF, CWK, HTML/HTM, INDD, EPS. Video – AVI, MOV, MP4, M4V, 3GP, 3G2, WMV, ASF, FLV, SWF, MPG, RM/RMVB. Audio – AIF/AIFF, M4A, MP3, WAV, WMA, MID/MIDI, OGG, AAC, etc. Message & Emails – PST, DBX, EMLX. Since it supports more than 500 file formats and also the option to recover data with unknown file extensions, you should be covered for the most part. Wondershare Data Recovery does take a lot of time to find your files. There is also the factor of the drive type (SSD, HDD, Thumb drive, etc.) and the power of the PC or laptop that’s being used. Even considering all this, Wondershare does take some time to go through large drives and for those who can’t run their machines for long at a stretch, Wondershare offers one more nifty feature, The ability to pause and continue recoveries from where you left them. So that sums up what Wonder share data recovery offers. So moving on to my experiences and conclusions about this piece of software. So I’ve tried a lot of recovery software’s, and they all work pretty much the same way. But the thing that I liked most about Wondershare’s take on the software was its simplicity. Also, the resume feature came in quite handy. I use Wondershare to restore photos from camera’s SD card pretty often. Even throwing the card in a faulty card reader could make the card unreadable and that is where Wondershare Data Recovery came in quite handy for me. Like with every other recovery software, there are always those missing pieces that can’t be accounted for, Like a photo that you shot that did not get recovered or ended up with certain artifacts once recovered. This is quite common and hardly an issue but I still need to put it out there. So in all Wondershare Data Recovery is a really good piece of software that is well equipped and does the job well and I would give it a strong recommendation. Its just the price that bugs me.